Quatrain — Four-line stanza, usually containing a rhyme scheme. “The Tiger” consists of six quatrains. Couplet — Pair of consecutive rhyming lines. In “The Tiger,” each quatrain has two couplets. Trochaic foot (trochee) — A two-syllable foot, in poetry, in which the first syllable is stressed and the second syllable is unstressed, as in the four trochees “PE-ter, // PE-ter, // PUMP-kin // EAT-er” (as well as in “TI-ger, // TI-ger, // BURN-ing // BRIGHT.” The absence of a final unstressed syllable [which would be present if Blake had written “TI-ger, TI-ger, BURN-ing BRIGHT-ly”] is called catalexis). This commentator sees the tiger as a symbol of evil and the lamb as a symbol of Christ. I respectfully gainsay his or her view. A symbol can be but is not always a metaphor. A handshake might symbolize friendship or agreement, but it is not a metaphor for friendship or agreement, just as the U.S. flag is not, in itself, a metaphor for our country. 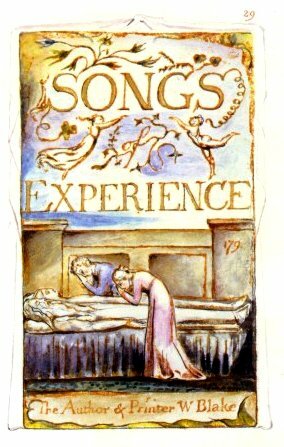 The writer fails to consider “The Tiger,” which appeared in Blake’s book Songs of Experience, in relationship to “The Lamb,” from Blake’s Songs of Innocence. 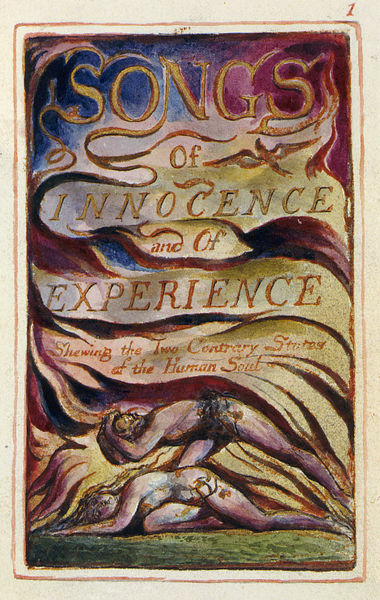 (Blake considered the two books a unit and published them together, as Songs of Innocence and of Experience: Shewing the Two Contrary States of the Human Soul.) 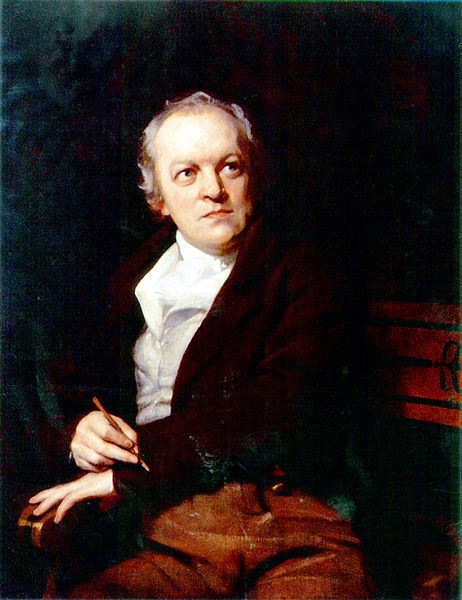 Another shortcoming of the reviewer’s analysis, in my opinion, is that it assumes a conventional attitude toward religion, Christianity, God, and Christ that Blake did not possess. Finally, it’s not at all clear that Blake saw his metaphorical tiger as pure evil — the lamb and the tiger are not necessarily opposites — but rather as beautiful and terrifying. Because scholars have for over two hundred years continued to debate the complex message of “The Tiger” without reaching consensus, I shall boldly contribute my own theory: The lamb (both in the poem “The Lamb” and in the allusion to the lamb in “The Tiger”) are metaphors for facets of the human personality, including Blake’s own inner angels and demons, and the “contrary states” of human life. 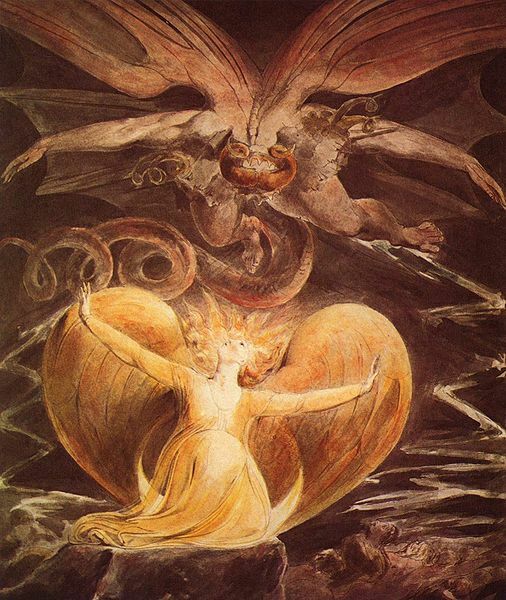 Regardless of Blake’s intention — and who’s to say that it was static and fully formed even as he wrote the poems? — I believe it’s fair to say that we are all, metaphorically, at different times and in different situations, an entire menagerie. Throughout history and literature, people have been compared to and represented as lions, puppies, rats, mice, panthers, fawns, even elephants. I wrote “The Kitten” (below) strictly to illustrate this lesson — as a metaphor for my own vulnerability — not to win any poetry prizes. I live alone now, but I was once pampered and protected. I can be sturdy and resilient — like, say, a Saint Bernard. I can be an “eager beaver.” Sometimes I like to hibernate, like a bear. But occasionally — when, for example, I have to carry a bag of groceries home from the store, or when the plumbing gets stopped up, or when I’m weary or just plain lonely — I’d enjoy being treasured and taken care of. and held all through the night when the wind rises high. Your assignment is to write something similar — it needn’t be in the form of a rhyming poem; a few lines of graceful prose will do as well — about yourself. Begin with the words “I am a,” then name the animal you are, and describe a few of that animal’s features that are like your own characteristics. Please e-mail your assignment to Mary@LifeIsPoetry.net. I will not grade your work, but I will return it to you with comments.